Dust off your vinyl’s old and new and immerse yourself in beautiful sound with a modern turntable. Don’t worry. You’ll still get all the traditional features of the golden era: A phono cartridge, a stylus and a platter for your favorite records. If the vinyl player were to be invented in 2018, this is what it would look like. The sleek black table is complimented by a clean interface. It’s a 2-speed table compatible with 33 1/3 and 45RPM. It’s set in a die-cast aluminium platter with anti-resonance. The turntable isn’t equipped with speakers but there is a built-in switchable phone pre-amp with RCA output cables. The phono cartridge is integral dual magnet and there is a replaceable diamond stilus. This is a fully automatic record player. That means you don’t have to fiddle around in grabbing and dropping the stylus in exactly the right place….you know the drill! Instead let the machine take charge. Watching the stylus gently glide over your records is almost therapeutic. Other modern additions include a special belt-drive design. Basically that prevents your platter from vibrating against the motor. This gives a much clear and more high fidelity sound. There’s also an all-important dust cover to protect your device and your precious records. Finally the Bluetooth and wireless connectivity bring the machine to the modern age. These work flawlessly even in a large space. Here’s the deal. If you have a bigger budget than you might want to invest in an even more high-end machine. The general rule is the more you spend, the more you get for your dough. As this is a lightweight machine it can feel flimsy when played hard. To increase longevity, you’ll probably end up replacing parts but that’s made easy. This is the best record player you can buy with all the modern specifications. 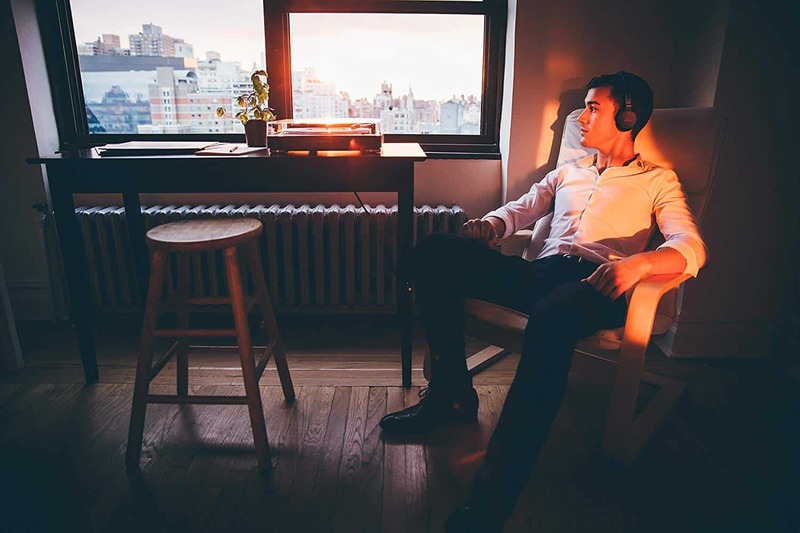 It’s perfect for bringing your most loved music to life. Plus it’s got the ultimate cool factor for any house party….a must-have. Do you like a truly old school and timeless design when it comes to your music players? 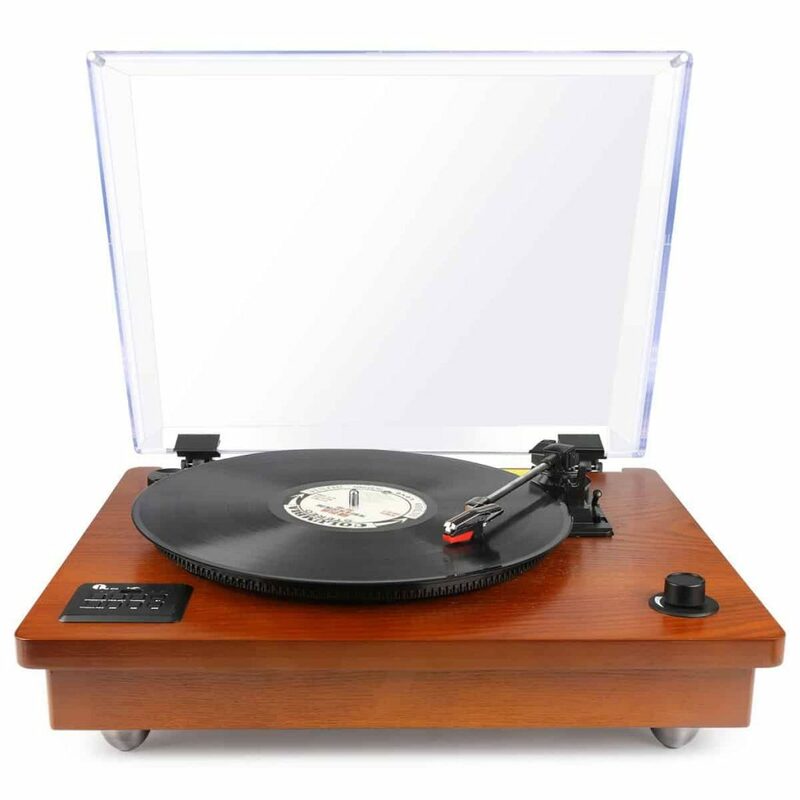 Let your mind wander back in time with this stunning bluetooth turntable from D&L. And if you’ve been looking forward to surprising a vinyl lover with a gift, this might just be what you’re after. This turntable is the perfect mix between old and new. The natural wooden casing is complimented by a stylish design, while the mechanical parts give away that this turntable is very much fit for 2018. 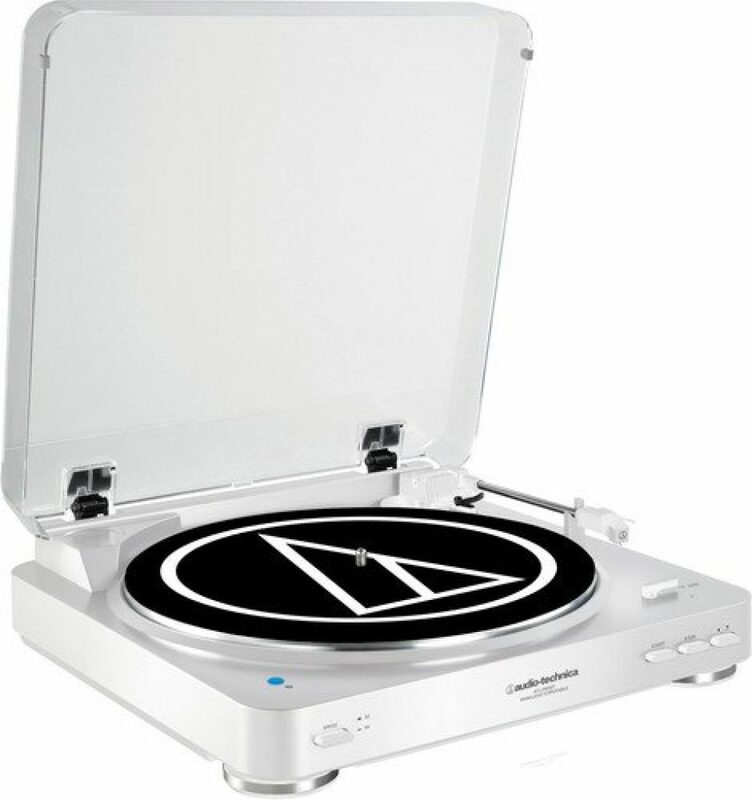 In terms of the specifications, this turntable comes with full bluetooth capability and will automatically restore the connection, if you fall out of range. There are three speeds: 33-1/3, 45 and 78 RPM and the manufacturers also throw in a spare ceramic needle for a rainy day. The lid was a little stiff on the first few uses. Other than that, zero complaints! This beautiful turntable sure is a conversation starter. It's the closest you can get to an authentic vintage record player, which can set you back thousands of dollars. And you'd never get the benefits of modern technology, such as listening to music wirelessly and syncing your record player with your smart phone. This is an investment worth making. 3-Speed Turntable :The classic turntable plays 33, 45 and 78 RPM records in 7, 10, and 12-inch sizes. Bluetooth Capability: Streams music wirelessly up to 33 Feet. Listen to your music from your Bluetooth comfortable device with ease. Just connect and Play. Speaking of nostalgia, if you loved the vintage vinyl player reviewed above but want something even more classic – take a look at this. 1ByOne have gone all out to craft a carbon copy turntable that looks like it was made in 1971 not 2018. The immaculate wooden dust cover slowly reveals a record deck that looks like any other, but actually represents the latest in sound technology. The classic looks definitely aren’t the only thing going for the 1ByOne. As with the other turntables, it plays three speeds, 33 1/3, 45 and 78 RPM records in sizes from 7 to 12 inches. It also functions as a high quality wireless speaker, sounding your favorite Spotify or Pandora tunes in perfect clarity. That can all be done using bluetooth so no WiFi is required, which makes this turntable ideal even for remote locations. On top of it all, you get a storage feature where you can record your music on to a USB memory within the player. Or you can even transfer audio from your vinyls to your smartphone. How neat is that? The only classical elements missing from this turntable are the manual controls for bass, treble and balance. It may sound weird, but there’s something to be said for having another layer of settings to customize sound. Anyway, that’s a minor complaint. Other than that the USB storage capacity is a marvel but can only cope with low capacity. Again, if you love this table, it’s nothing to be concerned about. Vintage products are bestselling hits year after year. And vintage-looking products achieve the same. If this is the look and feel you're after, the 1ByOne is an essential item to add to your collection. 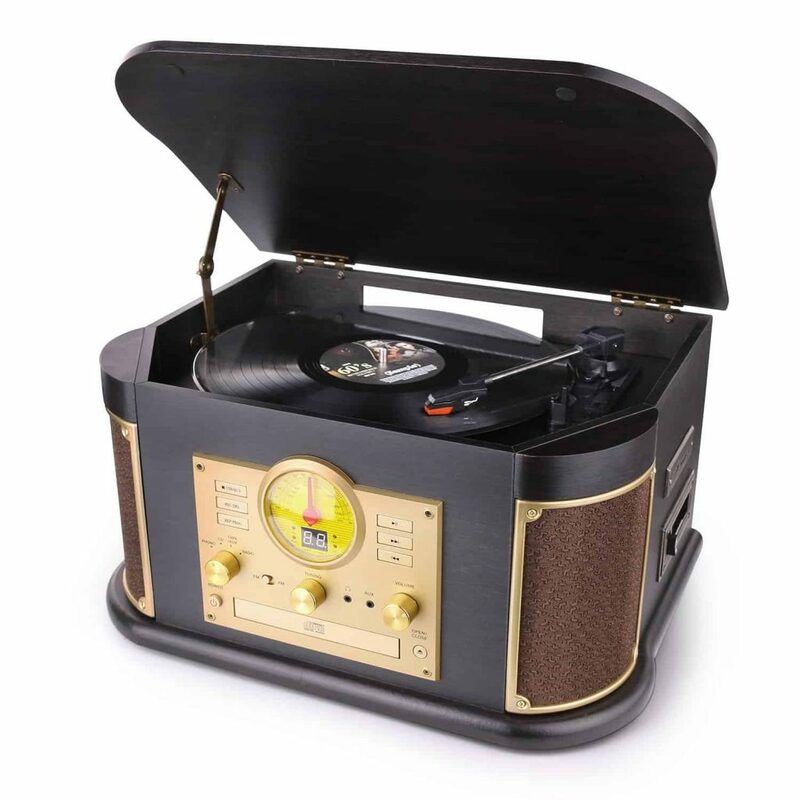 In terms of modern day comforts, it comes with everything you need for a full sound experience: The ability to play your vinyls, CD's, cassettes, MP3's (from USB) and AM/FM radio. You can control it from your smartphone, and the audio will be crisp every time. Well worth the money. Liked this page? 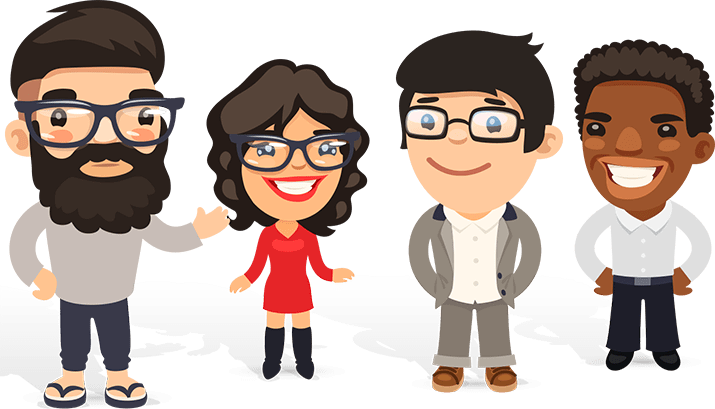 Then check out some of our other trending articles!